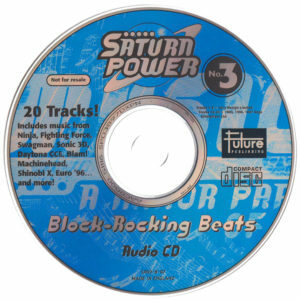 The 3rd cover disc from Saturn Power magazine isn’t a demo disc but a collection of music from various Saturn games that include Swagman, Fighting Force, Blam! Machinehead, Sonic 3D Blast, Daytona USA: Championship Circuit Edition, Shinobi X and UEFA Euro 96 England. 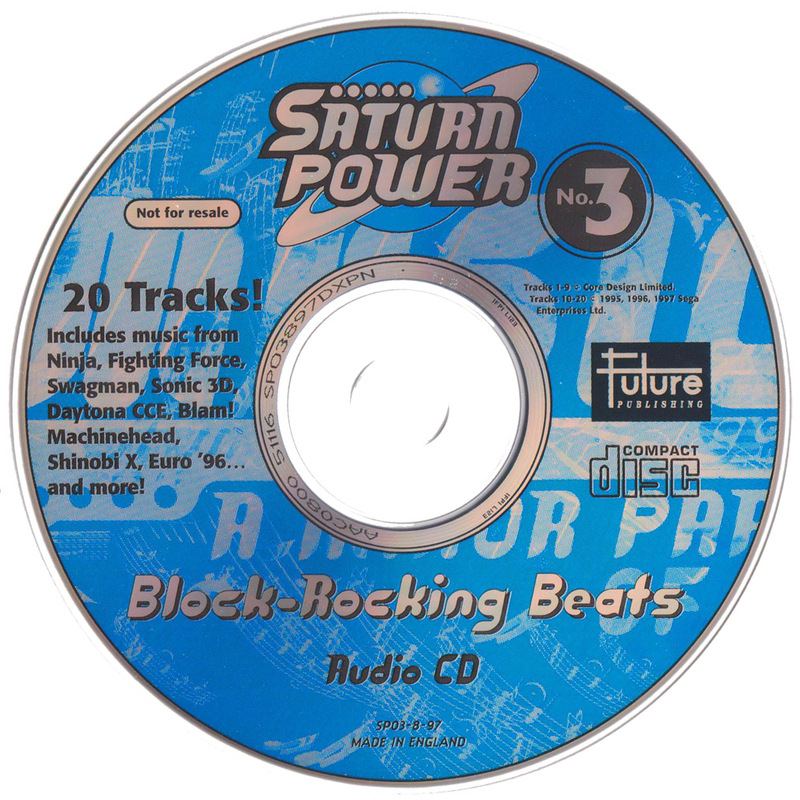 A really interesting inclusion is 2 tracks from Martin Iveson’s soundtrack to the unreleased Saturn title, Ninja. Ninja would eventually be completed and released on Playstation as Ninja: Shadow of Darkness.